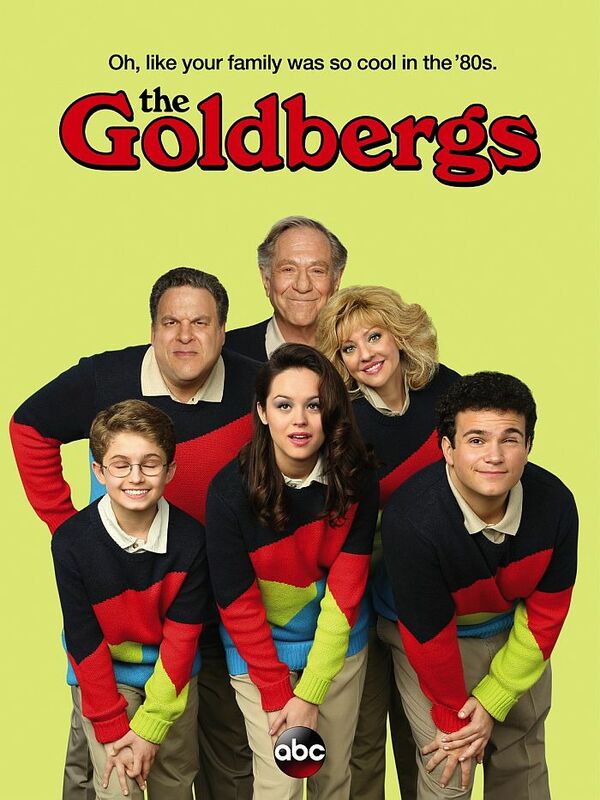 The Goldbergs is an American television sitcom that premiered on Tuesday, September 24, 2013 on ABC. The series was created by Adam F. Goldberg and stars Wendi McLendon-Covey, Jeff Garlin, Sean Giambrone, Troy Gentile, Hayley Orrantia and George Segal. The font used for the logo of the TV series is Windsor Bold, an old style serif display typeface created in 1905 by Eleisha Pechey for the Stephenson Blake type foundry. In addition to The Goldbergs (TV Show), Windsor typeface is also used in the following logos, movie posters or album covers etc., including: Midnight in Paris, Cheesecake Factory, Branded Man, Blue Jasmine, Cup Noodles, You Will Meet a Tall Dark Stranger, Different Class (Pulp), Whatever Works, More Than a New Discovery, The Diary, To Rome with Love, A Christmas Story.